Welcome to the Arun Aikido History page. Tony Wilden began his study of the art of Aikido in 1985 after years of extensive research into health, well-being, and spirituality. The Founder of Aikido, Morihei Ueshiba O'Sensei, Koichi Tohei Sensei, and Gozo Shioda Sensei inspired Tony to make an intense study of aiki. In 1987 Tony began training in Aikido Yoshinkan with Sensei Garry Masters and the Ken Shin Kai Aikido Association, based in Hampshire, UK. He received his Shodan - 1st Dan black belt in 1991 from David Eayrs Sensei - Principle Coach and Founder. The Arun Aikido Club was Founded by Tony in 1992 to make the art available to the community and as part of the growth of the Ken Shin Kai Aikido Association. The Junior Club was opened in 1993 after taking part in the Oscar Programme, a successful summer school course for the local council. Tony received his Nidan - 2nd Dan award in 1996 from Garry Masters Sensei after many years of hard training, coaching, and club promotion. In 1998, after many successful years, the Arun Aikido Club began a new journey, leaving the Ken Shin Kai Aikido association to follow a new path as an independant Dojo. They joined the Nakmas National Governing Body and continued to focus on the practical aikido basic techniques of Aikido Yoshinkan. Tony received his Sandan - 3rd Dan in 1998 from Brian Prince Sensei and the Bushinkan Martial Arts Association based in Hampshire, UK. In recognition Nakmas promoted Tony to 3rd Dan Senior Instructor. In 2000 Tony received his Yondan - 4th Dan award, by surprise from Brian Prince Sensei in recognition of his efforts to promote the art. 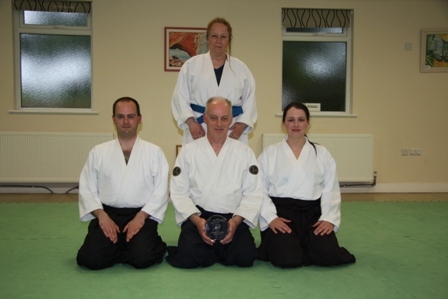 In 2002 the Arun Aikido Club closed their Junior Club after 9 years and left the Nakmas Organisation. This was due partly to insufficient student numbers. They joined the Bushinkan Martial Arts Association. Unfortunately the Arun Aikido Club, based in West Sussex UK temporarily closed its doors to students in 2007 mainly due to insufficient numbers. From 2007-2010 Tony focused on his own personal training and study of Aikido. He also took part in an intensive instructor training course in self defence and pressure point fighting under Master Russell Stutely. In 2013, after 13 years as a 4th Dan, Tony was promoted to 5th Dan by the Nakmas executive committee. He continues to promote the art of aikido to the world community via his Aikido Health Centre website. 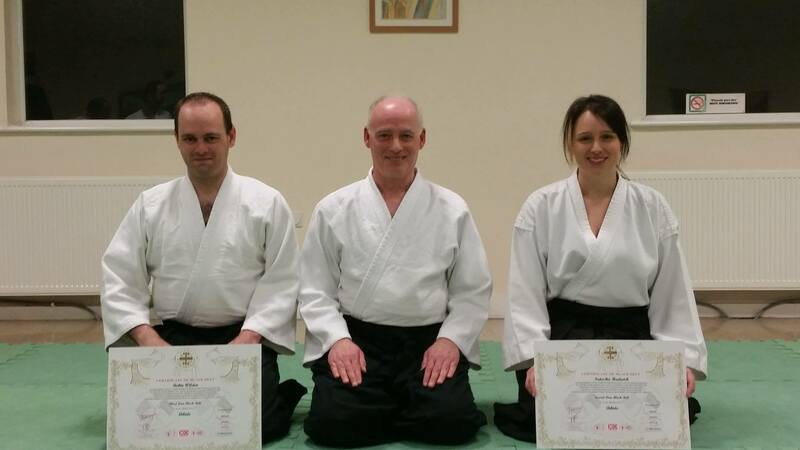 Sensei Robin Wilden 3rd Dan runs adult classes. Sensei Natasha Hadwick 2nd Dan runs junior classes. They have both been training since 1990.